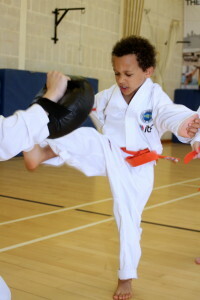 Self confidence, self control, self defence…and fun! Fantastically holistic classes with a wonderful teacher – you couldn’t ask for any better. The teacher invests in each child who in turn plainly respects the teachings and teacher. Classes cover a range of topics including values, nutrition, anti-bulling as well as building physical strength, co-ordination, listening and linguistic skills! Also great experience working towards and taking part in grading events, gaining stripes to show progression. Highly recommended. J. April 2019. I have been watching my grandson learn so many new skills at Mr Thompson’ s Taekwon-Do class, over the past year, and enjoyed seeing him grow in lots of different ways. He has learned to listen more attentively, and has enjoyed working for his grades, learning about team-work, healthy foods, even eating his broccoli…. My daughter (6) has been going to Mr Thompson’s Taekwondo lessons for around 8 months now and she really looks forward to going along every week. She loves everything about them, from the warm-up games to the taekwondo technniques. It’s also really great from a parenting perspective that the classes cover what to do about bullies and stranger-danger. She’s learning great skills like focus and team work, not to mention becoming stronger physically. My 6 year old son has been going to the class for almost a year, and he is still loving it. 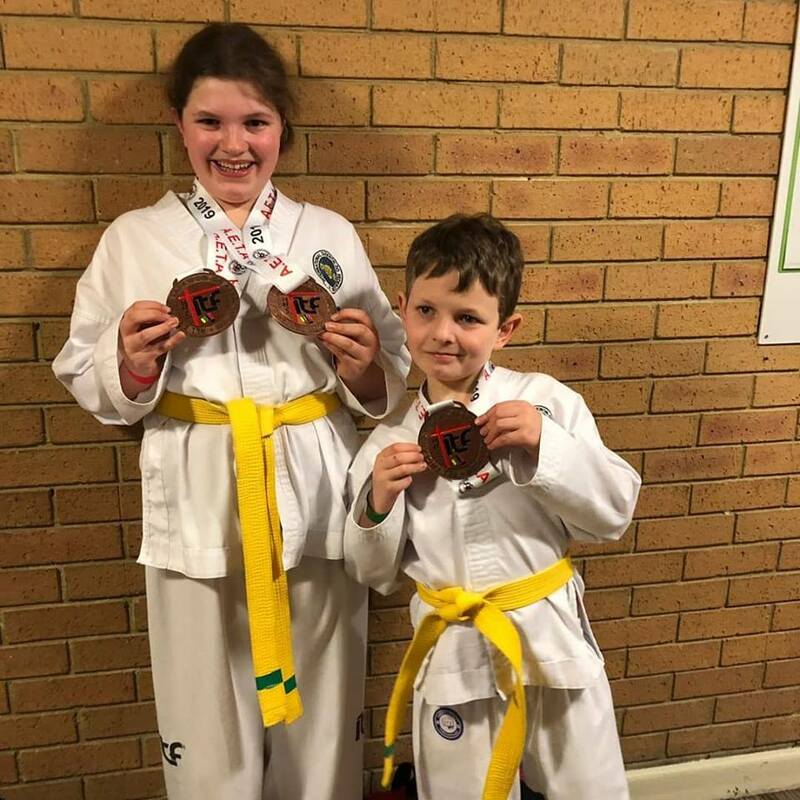 His confidence has grown, his physical strength improved, and participating in and passing the regular grading sessions are a great achievement for him. 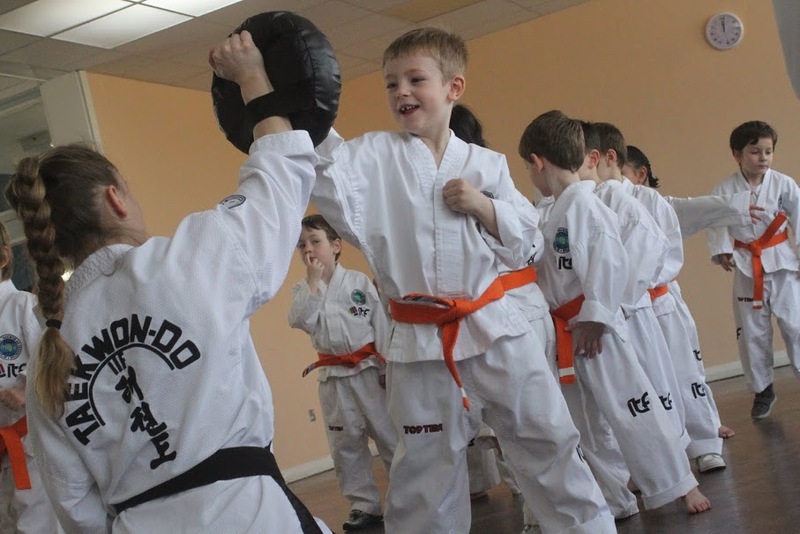 I love that the children are taught every day life tools next to Taekwon-Do, such as how to deal with bullies, what to do in an emergency, or how to behave towards strangers. Mr Thompson is an amazing coach, very funny yet always authoritative, and in control. My daughter Jessie (9) began attending Mr Thompson’s classes in October 2013 and since joining she has loved every minute of it, and really looks forward to it each week. 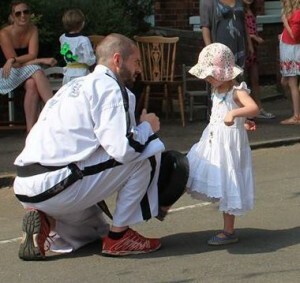 Mr Thompson is an excellent teacher – professional and knowledgeable with a great balance between teaching the physical and technical discipline of Taekwon-Do and ensuring the class have fun whilst doing it. 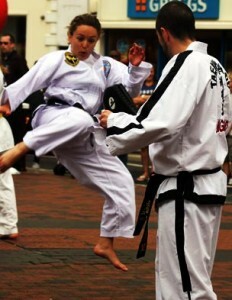 Taekwon-Do has improved Jessie’s physical strength, balance and flexibility, and also her confidence. Since taking Jessie to Mr Thompson’s classes I have also enrolled myself into the adult class, which I thoroughly enjoy. It’s a great physical workout, whilst gaining self defence skills. I would definitely recommend it! Richard Marshall, November 2015. My daughter attended the taster sessions two years ago, when a friend asked her if she would go with her, and she hasn’t looked back. It is easy to see why all the students love it so much, Mr Thompson is an excellent ambassador for Taekwon-do and the enthusiasm he shows for this sport is infectious. Every Lesson is the perfect balance of fun games and acquisition of skills and techniques. Mr Thompson’s teaching style is firm but kind and his engaging and inspiring sessions earn him the respect of all his students. 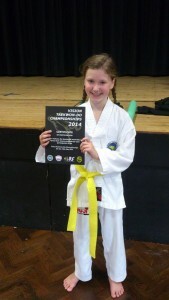 As a parent I have been delighted at the amount of confidence my daughter has gained through doing Taekwon-do and this has been evident in all areas of her life in and out of school. In addition to her gaining self-confidence my daughter’s agility, flexibility and stamina have all improved and family members have commented on how elegant she is now. 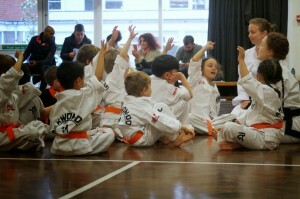 My younger daughter has since joined the same class and she equally loves it. My 10-year-old son started attending once-a-week Taekwon-do lessons in the autumn of 2013 and went up to twice-a-week early in 2014. Last year, his 7-year-old brother joined him. Unlike my experience with other martial arts classes, Mr Thompson makes the lessons fun while at the same time maintaining discipline, and they are always varied so there’s always something new and exciting to try out. My boys love the lessons, which not only have helped them improve their fitness, but also their co-ordination and self-confidence. Mr Thompson is an excellent teacher. Emma Campos-Redman, January 2015. My daughter Jessie (7) began attending Mr Thompson’s classes in October 2013 and since joining she has loved every minute of it, and really looks forward to it each week. Guy Lambert: In October 2012 I won a medal for sparing at the Taekwon-do World Cup. 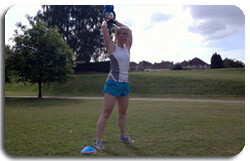 One of the key reasons for my success was regular fitness training with Luke. Your ambitions may be less extreme than mine, but whatever they are Luke will help you. You will find his training creative, sensitive and sensible. Whether you simply want to lose weight, tone up, recover from injury, get fit – or you have your own ambitions – talk to Luke and he will help you achieve your goals. I unreservedly recommend Luke Thompson. Wendy Pearce: Luke is a very professional and motivating personal trainer.I don’t feel bullied when I train but encouraged and have seen great results in my strength and fitness.I would highly recommend him to anyone who needs variety in their workouts that is also specifically geared towards their own needs. Jay Hill: Training with Luke is fun and works! He devised clear, short and long term goals with me and I have already achieved this year’s initial short term goals, to improving my diet and win a gold medal for Taekwon-do. Luke is supportive, encouraging and professional throughout each training session. He also is incredibly knowledgeable and enthusiastic, so I am always learning more. Beth Mackay: Luke is fantastic at tailoring a programme for your personal needs and takes the time to get it right for you. He encourages you to make real progress making challenging but realistic goals with you, making sure you are working within your stretch zone. Luke’s support has helped me get back on track with my fitness goals and sticking with it! Check out our reviews on FreeIndex!